Leslie Scottish Cashmere Funnel is an easy sweater to wear luxuriously comfortable, colored to wear with almost any pants. 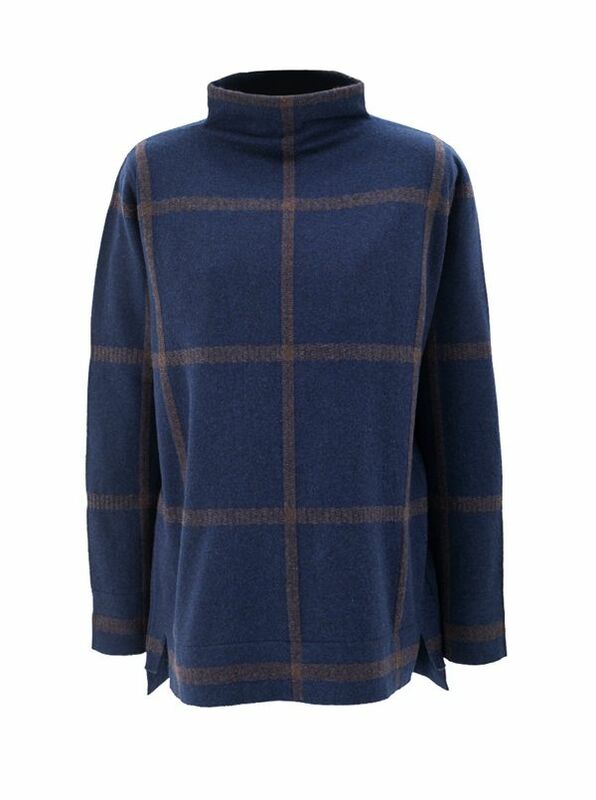 Knitted in Scotland in a generous silhouette with an expanded navy/brown windowpane check. 100% cashmere. With high/low, vented bottom.